Many occasional phone calls are needed to be recorded to make them useful in future. You may wish to record call of your loved one or any business person with whom you have talking about your business deals. There is no need to worry, as there is a solution available for you to record your phone calls by using android platform applications. There are multiple choices available for you to choose in the Google Play Store. You can download any selective apps from Store and can record your phone calls. Here are top 4 great android apps for recording your phone calls. 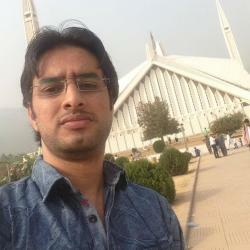 This application will automatically start recording of your incoming and outgoing phone calls. Don’t worry, you can adjust the settings according to your need instead of recording every single phone call. In settings menu of Automatic Call Recorder, you can select and set recording of call to specific contacts of your phone book. The features include the audio format of the recording can be selected according to your desire and also can set the destination of storage in the memory. If you run out of space on your smartphone memory, then you can even save your recording to Dropbox account. 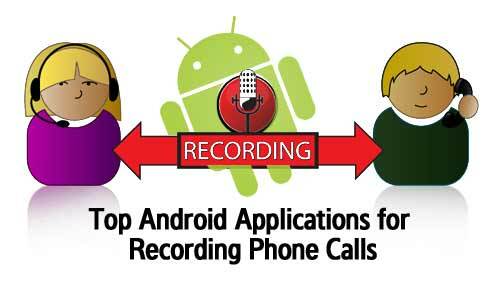 The Call Recorder ACR is the highest rated and most famous application for Android in call recording applications category. There are some distinct features of this application, which includes auto recording, manual recording, and protection of recordings through passwords along with old recordings auto deleting feature. There is variety of choice available for the user to save recordings in any format like WAV and MP3 etc. You can download it from the Store. The easy to use and simple android application for your smartphone to record your phone calls is Call Recorder. It is also the most downloaded application for call recordings in the play store. After installing this application to your smartphone, you just have to select ON for automatically starting of your phone calls recording. There is cloud storage feature available for storing your recordings to the cloud storage like Dropbox. Like other recording applications, there is also plenty of choices to select for your resultant recording. The perfect one to done the job as it is named for. It can record your outgoing and incoming calls. The only limitation of using this application is that you can only record calls through the use of microphone. For the recording purpose, you have to turn the loudspeaker on if you are willing to record call clearly from other end. There are filters available to record special calls not the all of them. Like all above described applications, you can save your recoding to memory card or can save at your cloud storage account. These are the top 4 great android applications for recording your phone calls. Hope so, you like that. There are many more options available in the Google Play Store to record calls. If you find any app better than the described, feel free to share your experience.